Taxi operators in Himachal Pradesh went on a three-day strike Monday in protest the proposed hike in commercial taxes by the state government. Tourists in most of the towns faced inconvenience following the strike and the supply of milk, curd and other daily need goods were severely affected in the most part of the state as the commercial vehicles transporting diary products from neighbouring Punjab have also joined the strike. The government said it was open for talks to resolve the issue. 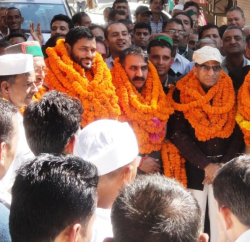 Himachal Pradesh Congress Committee President Sukhvinder Singh Sukhu today urged the Chief Minister Virbhadra Singh and Transport Minister GS Bali to immediately intervene on the issue of strike by commercial vehicle operators regarding proposed hike in road and commercial taxes in the state. 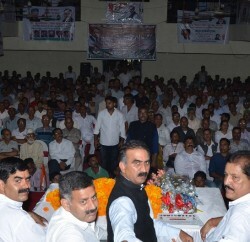 Sukhu said that the state government should immediately call a meeting with striking commercial vehicle operators so that the common public of the state don’t have to bear the brunt of this three day strike. 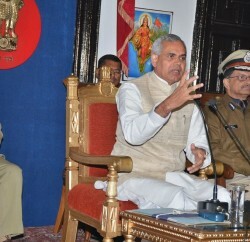 “The daily passengers which also include government employees and tourists are facing inconvenience as taxis and private buses are not plying on roads and the strike has also affected the supply of essential items,” Sukhu said, adding that Chief Minister and Transport Minister should immediately convene the meeting with the executives of State Commercial Association to sort out the issue in the best interest of general public.